A few months ago, if you had asked me about John Chrysostom, a Christian of ancient times, you’d have been answered with, “John who?” Since then, I’ve come across him several times in my reading. Now I know him as a worthy entrant into the Christianity Hall of Fame. John was born around 350 A.D. As a youth, he aspired to become a monk. The monastic movement had begun in the late 200s by those who believed the world was an inherently sinful place, and the best thing to do was to live separately. But John’s mother urged him to wait. She had been widowed as a young mother, only twenty years old, and devoted all her time and effort to her son and his education. John stayed. But when she passed on to heaven, John did become a monk. From 374 to 380 A.D. he lived in a cave on a mountain near Antioch (Turkey). Over time, John came to realize that a more meaningful life might be spent helping others, rather than living separate from them. (No doubt the Holy Spirit was guiding him!) 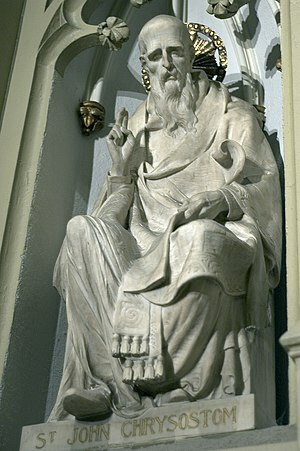 He returned to the city of Antioch and became ordained as a priest. “What on earth are you saying? It’s not your business to read the Bible because you’ve got too many other things to bother about? But that’s the very reason why you need to read the Bible! The more worries you have, the more you need the Bible to keep you going! John’s fame grew all over the Roman Empire. When a bishop was required for the capital city of Constantinople, the emperor’s prime minister wanted to put John, the most famous orator, into that position. But he knew Antioch would never give up their beloved priest, and John would not want to leave his beloved Antioch. So the prime minister had soldiers kidnap John, and take him to Constantinople! There he was installed as bishop. Perhaps John considered sneaking out of the city, but the historical record indicates he accepted the turn of events as the intervention of God. John maintained his pure, simple lifestyle, giving away much of his salary to the poor. He also continued his frank style of preaching. That was not well received. The rich grew angry, the hierarchy of the church grew indignant, and a jealous bishop in Alexandria became bitter because he coveted that prestigious post at Constantinople. All of these people conspired against him, and as the result of false charges of heresy, John was banished from the city. He died in exile. Surely no one could refute that John Chrysostom was a moral man, who was dedicated to pious simplicity, unvarnished truth, and loving-kindness to others. Yet he was one selected for persecution, while unlawful greed and selfishness ruled in high places as well as low. Those against John surely wished to shame the caring priest. But for how many centuries has the shame actually been on them? Now, 1600 years later, the world is still inhabited by greedy, selfish, shameful people. But there are few who follow John Chrysostom’s example. I want to be among the latter. Heavenly Father, I thank you for men like John who resolutely lived out their beliefs, and whose greatest desire was to please you. May I remain strong in faith and practice. Help me to listen attentively to your Spirit and be obedient. I want to serve you with integrity, determination, and focus, just like John Chrysostom. 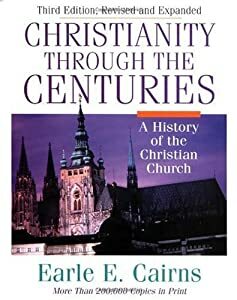 Christianity through the Centuries by Earle E. Cairns, 1970. The Church of Our Fathers by Roland H. Bainton, 1969. Eerdmans’ Book of Christian Classics compiled by Veronica Zundel, 1985.